Tower of the Americas in downtown San Antonio’s Hemisfair Park is a captivating tourist destination that’s fun for the whole family. Enjoy fantastic views of the city from the tallest building in town, fine dining in the Chart House Restaurant, a 4D film experience, shopping, special events, and more. The following are the hours and prices for visiting the tower. For pricing information on class trips or other details, call (210) 223-3101 or visit Tower of the Americas’ website. Ticket includes unlimited access to Observation Deck, Flags Over Texas, and the 4D Theater Ride. Prices do not include tax. Discounted packages are available for educational tours. Prices and hours are subject to change. 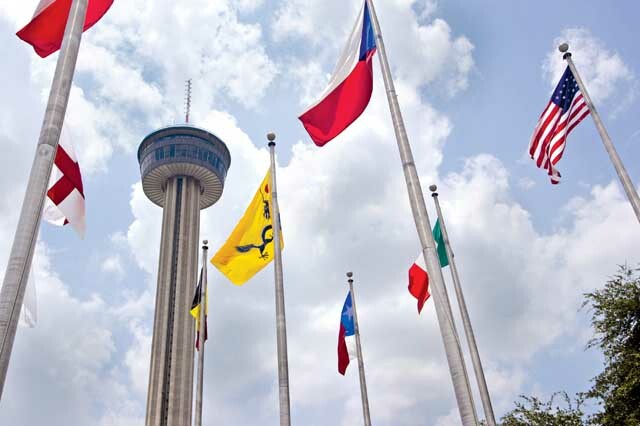 Please check Tower of the Americas' website for the most up-to-date information before visiting.